A quadratic equation, or a quadratic in short, is an equation in the form of ax^2 + bx + c = 0, where a is not equal to zero. The “roots” of the quadratic are the numbers that satisfy the quadratic equation. There are always two roots for any quadratic equation, although sometimes they may coincide. You solve quadratic equations by completing the squares, factoring and by using the quadratic formula. 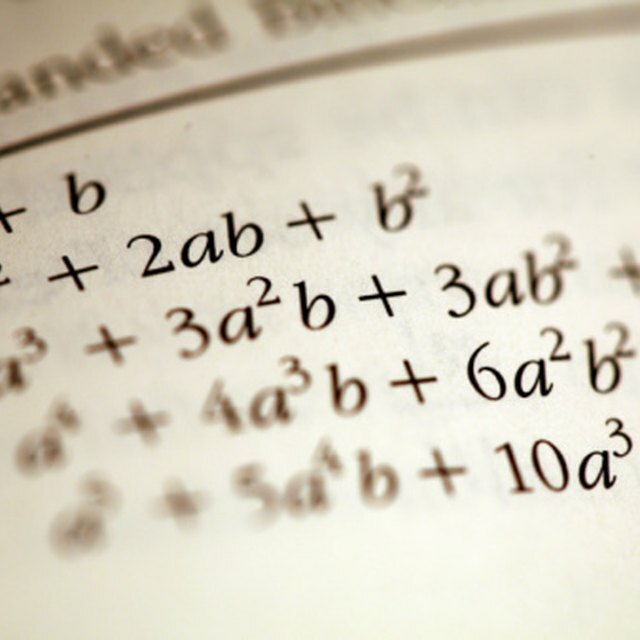 However, since completing the squares and factoring are not universally applicable, it is best to learn and use the quadratic formula to find the roots of any quadratic equation. The roots of any quadratic equation is given by: x = [-b +/- sqrt(-b^2 - 4ac)]/2a. Write down the quadratic in the form of ax^2 + bx + c = 0. If the equation is in the form y = ax^2 + bx +c, simply replace the y with 0. This is done because the roots of the equation are the values where the y axis is equal to 0. For example, suppose the quadratic is 2x^2 - 20x + 5 = 0, where a = 2, b = -20, and c = 5. Calculate the first root by using the formula x = [-b + sqrt(-b^2 - 4ac)]/2a. Substitute the values of a, b, and c. In our example, x = [20 + sqrt (20_20 - 4_2_5)]/2_5, which equals 9.7. Note that in order to find the first root, the first item inside the big brackets has changed its signs (because of double negative) and added to the second item. Determine the second root by using the formula: x = [-b + sqrt(-b^2 - 4ac)]/2a. Note that the first item inside the big brackets is subtracted from the second to find the second root. In our example, x = [20 - sqrt(20_20 - 4_2_5)]/2_5, which equals 0.26. Access the quadratic equation solver at Mathworld and enter the values of a, b, and c. Use this option if you do not want to use a calculator. Negative numbers squared becomes positive. Make sure that you use correct signs. Gaunle, Kiran. "How to Find the Roots of a Quadratic." Sciencing, https://sciencing.com/roots-quadratic-8116675.html. 25 April 2017.